This Savage Leather farming guide is made to help you farm Savage Leather. I decided to search for places with high density of mobs which I can skin and drop Savage Leather. I traveled around Azeroth, and after a while I made a list of places. Firelands is the best place to farm, but you have to have a level 100+ character. If you don't have a high level character, scroll down to the bottom of the guide to find alternative farming places. 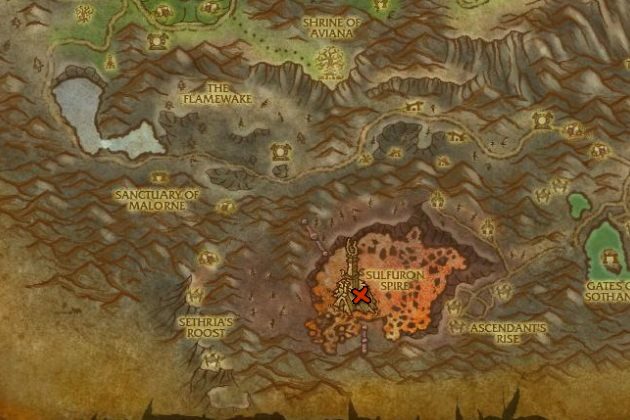 This is the best palce to farm if you can't solo Firelands. Kill Darkwood Lurkers and Darkwood Broodmothers around the marked area. 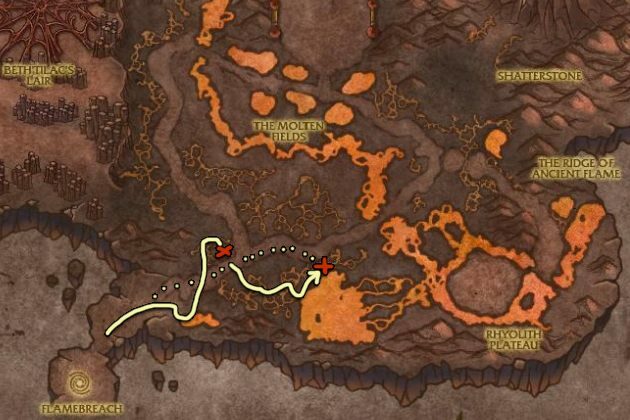 There is a place at Molten Front with a lot of Cinderweb Creeper and a few other kind of spiders, but you cannot go to Molten Front until you do some questing in Mount Hyjal. Read this guide if you want to unlock this area.